© Henry Shin. All rights reserved. Giraffes are challenging to photograph because their behaviors are rarely interesting. Their height also precludes interesting backgrounds. 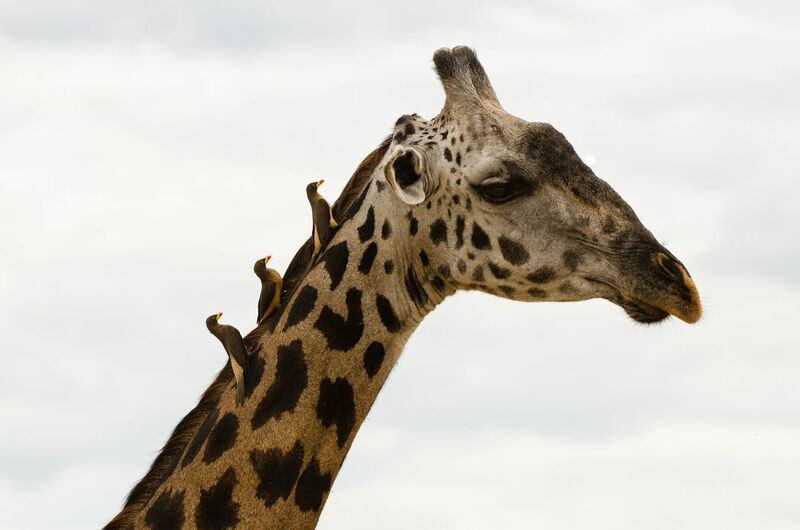 I was lucky to be able to shoot three oxpeckers aligned on the neck of a giraffe and looking simultaneously in the same direction as their host. Date Uploaded: Oct. 18, 2014, 11:27 p.m.